Marathons: Who Runs Them and Why? When I started training for my first half marathon in the Fall of 2008, someone somewhere that I can’t remember told me the meaning behind that seemingly random 26.2 mile distance. I’ve always retold the story with enough candor to deter any specific questions that show my lack of actual knowledge on the topic and every time I retell it, I remind myself to research it again when I get home. Well, this time I finally remembered and decided it would make a fantastic blog topic, along with some other interesting facts about marathons. Thanks to Wikipedia.org, I now know that the origin of the marathon comes from the legend of Pheidippides, a Greek messenger. P, as we will call him, was battling in Marathon, Greece, when he was commanded to run to Athens to announce that the Persians had been defeated in the Battle of the Marathon. Now apparently P was either pompous of just naïve, because he ran the entire 26.2 miles to Athens without stopping. He ran into the assembly and shouted “What have won!” (in his native tongue obviously). Unfortunately, P’s enthusiasm over his victory was short lived as he fell dead on the spot. Consistent with the competitive human nature of man, this legend inspired others to prove they could run the same distance without dying. The first man to decide to organize a 26.2 mile race was Michael Breal, who wanted to include it in the first modern Olympic Games in 1896. The winner of the first Olympic Marathon, on April 10, 1896 was Spiridon Louis, a Greek water-carrier. His time? 2 hours 58 minutes and 50 seconds. The current world record for the marathon is 2 hours 3 minutes and 59 seconds (faster than I ran my first half marathon). It was set in the Berlin Marathon by Haile Gerbselassie of Ethiopia. I’ll do the math for you – that’s a 4:44 minute mile pace! I doubt that most Americans can run ½ a mile in 4:44. To put that into perspective, I hope to finish my first marathon under 4 hours 30 minutes (although based on my half marathon time it is estimated that I’ll finish in 4:09:01, but I’m not putting any pressure on myself!). Conclusion: those Ethiopians are FAST! Unfortunately, the women’s marathon wasn’t introduced as a female sporting event until the 1984 Summer Olympics. It was won by Joan Benoit from the US with a time of 2 hours 24 minutes and 52 second. Since the race was incorporated into the Olympics, it has been a tradition for the men’s race to be the very last event on the athletics calendar, with a finish inside the Olympic Stadium, often within hours, or incorporated into, the closing ceremonies. Most people don’t run a marathon to win. Like me, most people run just to prove to themselves that they can actually do it. Or maybe they do it because they are masochists. Sometimes when I’m running a particularly difficult course or my legs feel very heavy, I wonder if I enjoy self-torture. Well apparently I’m not alone, because there are over 500 marathons held each year. The most popular distance for novice or casual runners is the half marathon, 13.1 miles. Many people decide to run their first half marathon with the intent of it being their last, but become addicted and want to run one again to see how fast they can go! I was one of those people, and now I’m obsessed with “PRing” as they call it (achieving a personal record). Although full marathons are less popular, many people train very hard to run a full marathon in order to qualify for a coveted spot in the Boston Marathon. Currently, the qualifying time for a woman in my age group for Boston is 3:40:59. Mike, a 30 year old male, would have to run 26.2 miles in 3:10:59 to qualify! At this point I’m hoping to just finish my first marathon and have no plans to race one again. These can be famous last words – I said that about my first half marathon as well. In the U.S. the average marathon finishing time for a woman is 5 hours 6 minutes and 8 seconds. According to marathonguide.com, in 2009 nearly 468,000 marathon finishing times were recorded and 59.6% of finishers were men, and 40.4% were women. The average age of a marathon runner is 38.7 years old (40.2 for men, 36.5 for women). It’s never too late to start training for your first race! The fastest age group that runs a marathon is men aged 40-44. This is consistent with several theories that the more years of running behind your belt, the faster you run. Women runners are fastest between ages 35-39, which is consistent with my prior knowledge that the body learns to run more efficiently and therefore it’s easier to run faster. The average marathon time for a woman finishing in my age group (25-29) is 4:45:54. Marathon races are held in every state and in every month of the year. The majority of races are held run in May and October; whereas the least number of races are run in August, July and February. 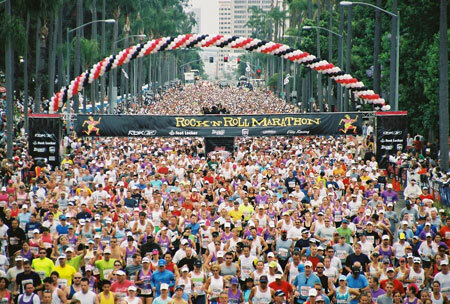 One of the most popular marathon race series is the Rock n Roll marathon race series (I am running in the San Diego race in June). These races are HUGE. 10,650 people finished the 2010 San Diego Rock n Roll marathon (and several more thousand started but never crossed the finish line). Most recently, a different type of world record was set. At the LA marathon last weekend, a 400 lb man crossed the finish line after 9 hours 48 minutes and 52 seconds of walk/running. The course had already been shut down (they can’t shut down the streets all day), but it still counts as a world record! 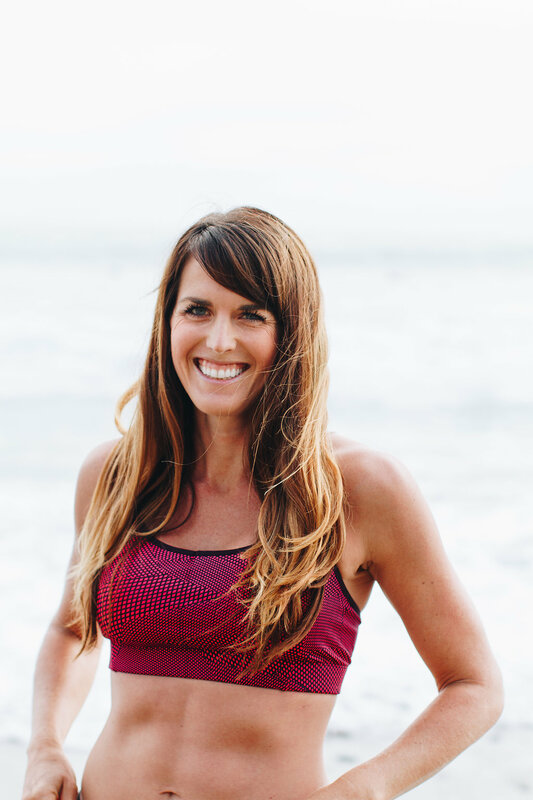 Although in active and fit San Diego it is not rare to hear of a friend training for a half marathon, only 1% of Americans will ever run a full marathon in their lifetime. I’m looking forward to joining this very exclusive club! Hi Nicole, great blog. After runninh two 1/2 Marathons and making a promise to myself that I would complete my first marathon at 50. I ran and FINISHED my first Marathon on Nov 18 in Philadelphia!!! It was the most difficult, wonderful and transformational experience of my life. I am so proud of being in 1% club. Hopefully I will inspire other women my age to get off the couch and hit the road!!! Keep working it girl!! I was at 275 pounds and my health was a hot mess. So I quit my job to concentrate on losing weight and getting fit. My fit and fabulous friends signed me up for a 1/2 marathon (San Antonio, TX 1,200 miles away) for a rock & roll series event in which I had a year to train. They also paid for my plane fare and fees, all I had to do was go! At 54 and 217 pounds this non-runner completed it in 4:36, and I ran it the following year also. It was one of the highlights of my life, especially to prove to the haters that I could accomplish something like this. I look forward to going back to doing my 3rd race in December.